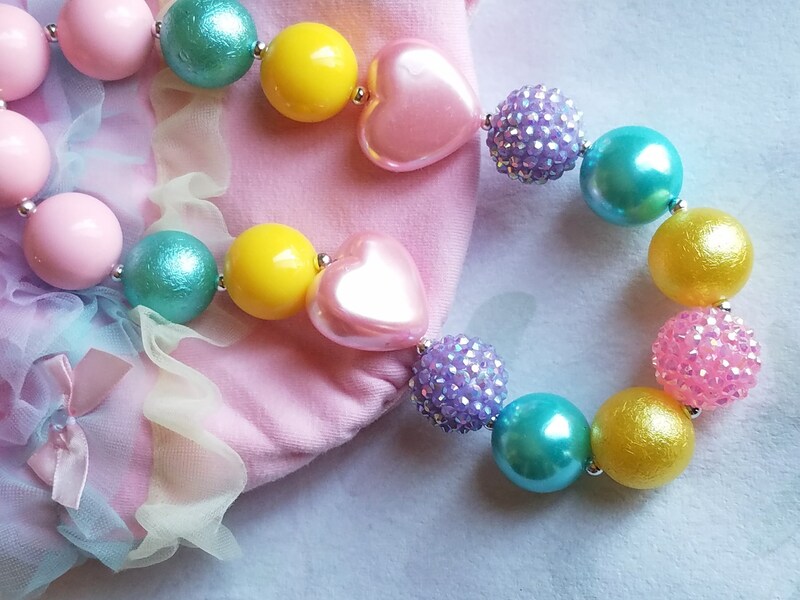 Baby Photo Prop Accessory Set Bloomers, Headband, Necklace for Baby Pictures. Size 6 Months Accessory Set. 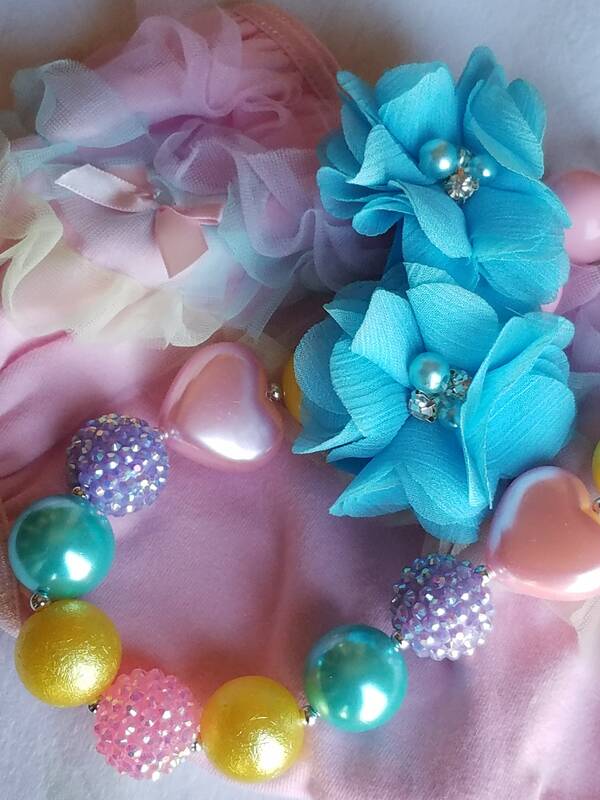 Baby Ruffle Bloomer Diaper Cover, Floret Headband and Bubblegum Necklace great for baby photos. 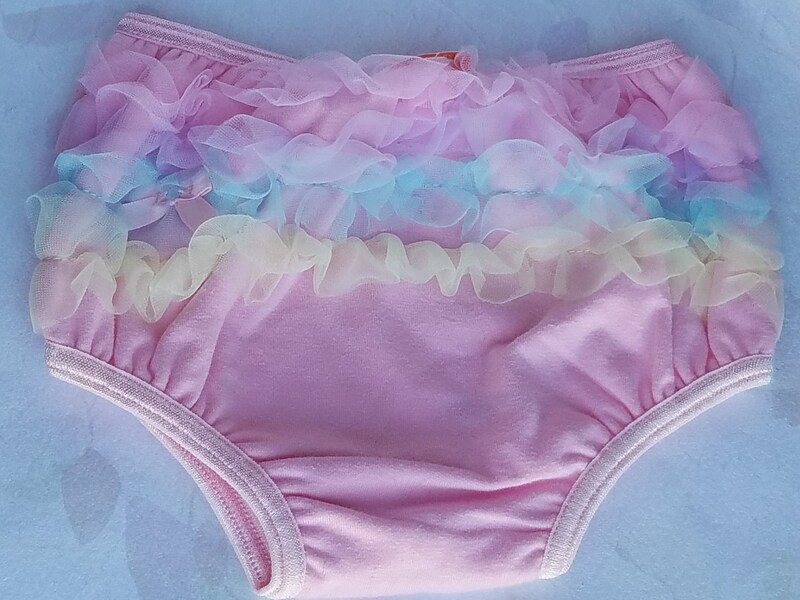 To go with these ruffle pants we have made the following accessories. 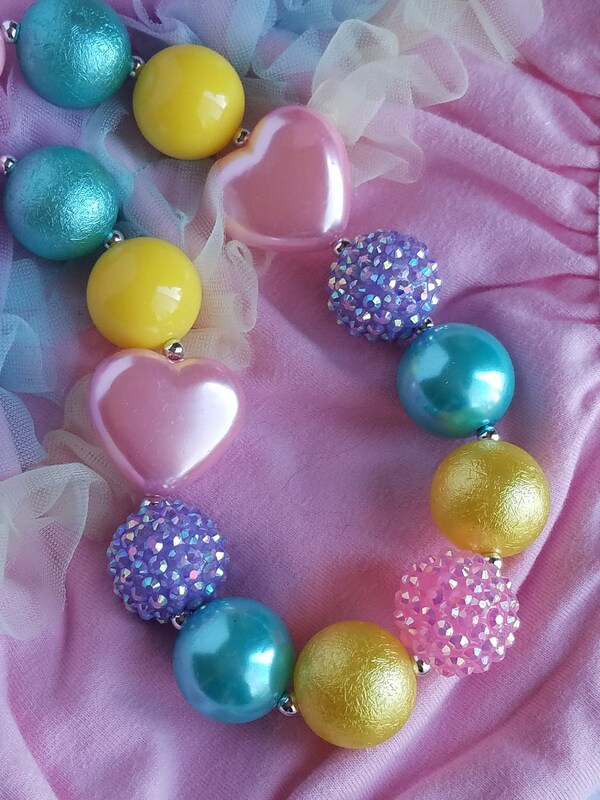 The Handmade, custom designed pink, yellow and blue Bubblegum and heart beads, chunky bead necklace perfect for Infants, Toddlers or Girls of any age! 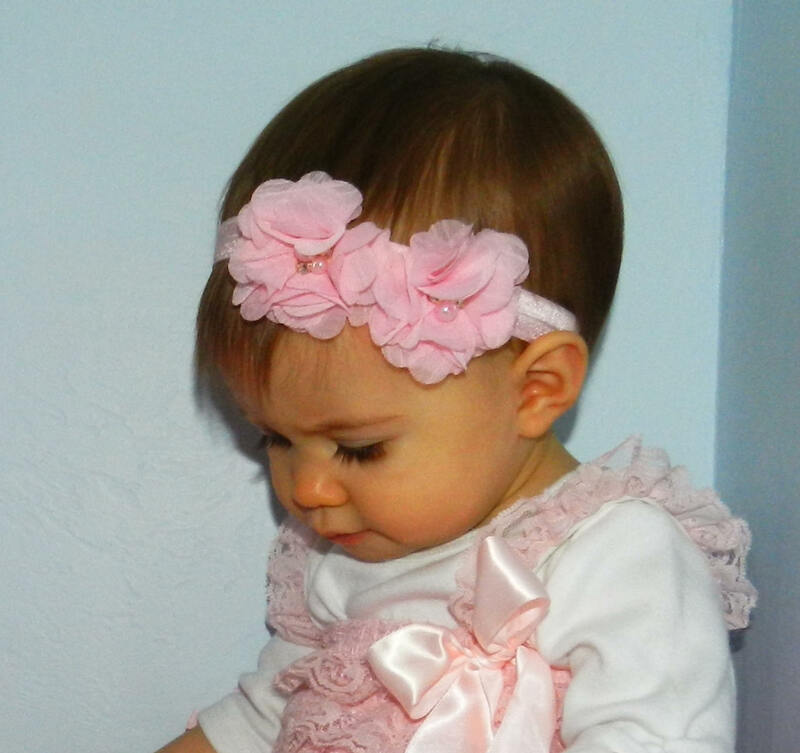 The headband has two sweet Chiffon Flowers with a rhinestone and pearl center. 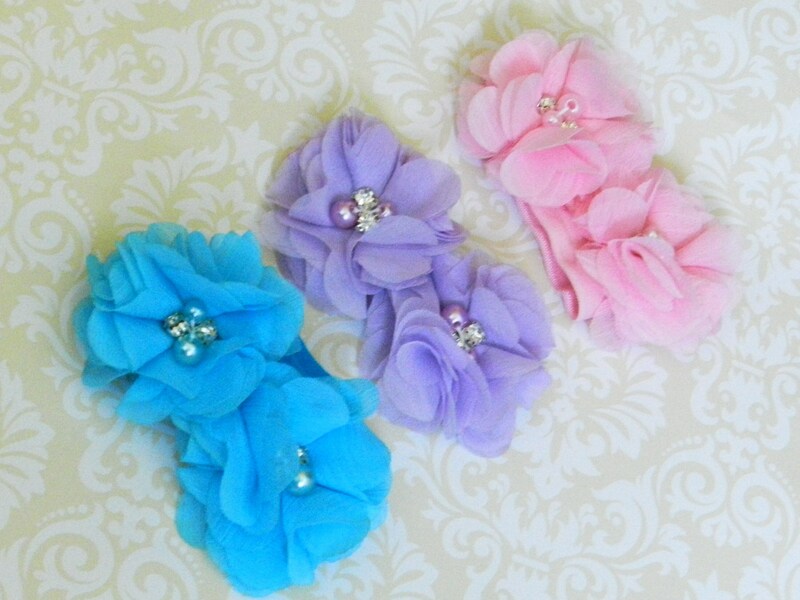 These flowers are made from a soft blended chiffon fabric, the Rhinestons add just the right amount of sparkle. 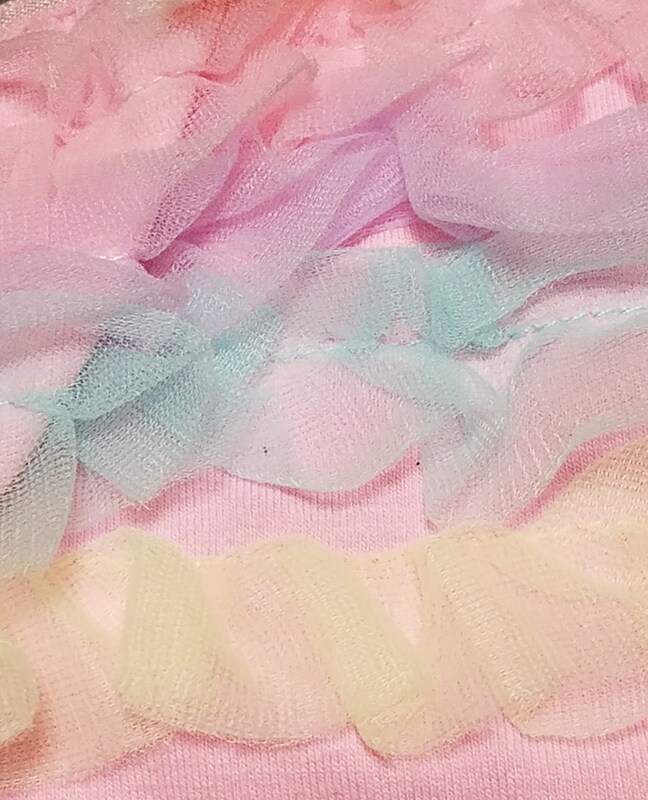 On a soft fold over elastic stretch headband. 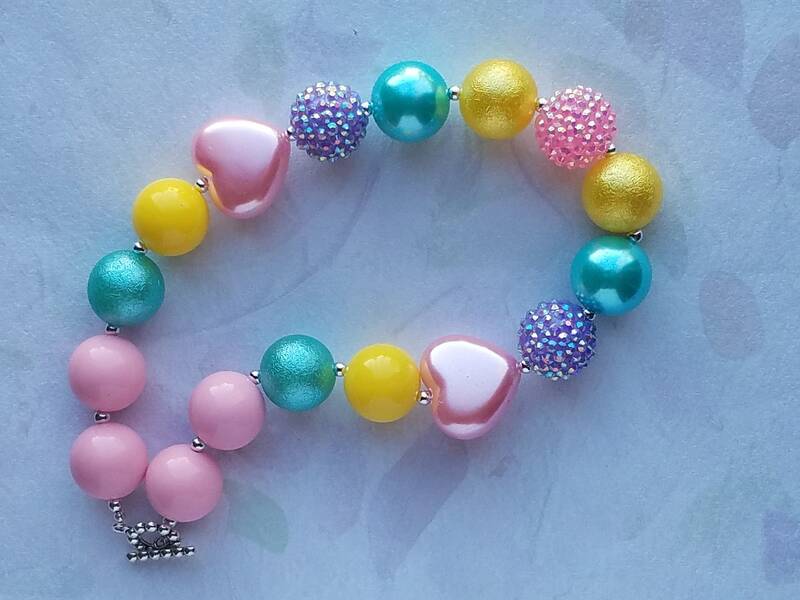 ~Add a matching bracelet for $5.00. Just add the "add a bracelet" option in my shop to your order before check out!